Crec International > CREC NEWS > News > CREC in Guatemala: Communication at the service of Central America. 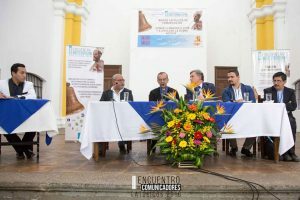 CREC in Guatemala: Communication at the service of Central America. When Pope St John Paul II visited Guatemala in 2002, he canonized the first saint of Central America, a 17th century friar known as Hermano Pedro, who used to walk the streets, ringing a bell and calling people to prayer and penance. 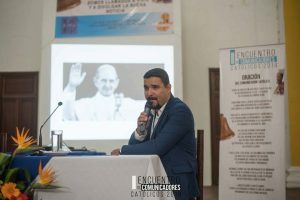 Known also as the “St Francis of Assisi of the Americas”, he was a communicator-evangelizer whose message still echoes in Guatemala today – a country struggling with the scourge of corruption and the wounds of a civil war. 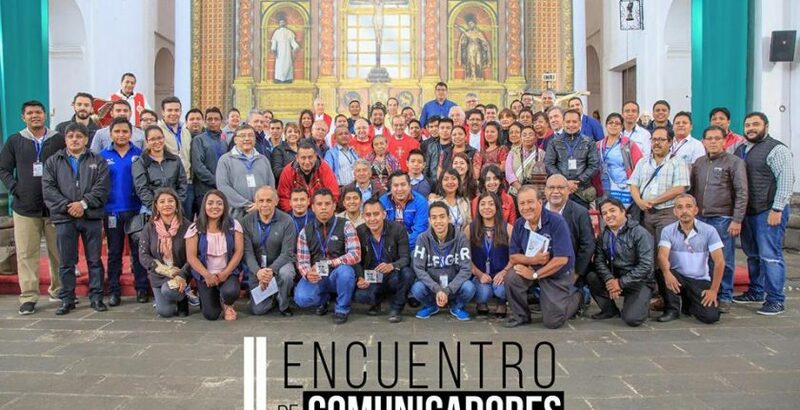 It was here, in the shadow of three volcanoes, that CREC participated in a training session at the 2nd Meeting of Catholic Communicators in Antigua Guatemala, the ancient capital and a UNESCO World Heritage Site. Over 100 communications professionals took part in the sessions that included discussions, workshops and seminars. Cardinal Gregorio Rosa Chavez of El Salvador, and close collaborator of murdered Archbishop Oscar Romero, was the special guest. 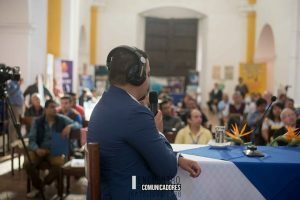 Catholic communications in Guatemala are alive and well: there are dozens of radio stations, as well as diocesan TV and media offices run by the country’s 13 dioceses. The Bishops Conference, however, recognizes the urgent need for updated and ongoing training. Freedom of the press is always an issue, and there are journalists who have given their lives in defense of the truth. The CREC team, Ary Waldir Ramos Dìaz and Seàn-Patrick Lovett, did their best to respond to this need by offering sessions devoted primarily to Journalism and Digital Culture (including how to combat “fake news”), and to alternative means of communication in the specific socio-cultural context of Central America. And it seems they succeeded. Especially since the Bishops have invited CREC to return to Guatemala to provide a workshop in Crisis Communication just for them.